Designers get across different purposes every single day, the pressure that they handle on daily basis is commendable. Anybody can lose calm in such burden building scenario but it takes professionalism and experience to calm down and take things as they are to perform well and not to get carried away. Since the designers have tasks on daily basis therefore they have to get handful of ideas to present the best outcome. The more creativity is involved the better and different design is made out of a designer’s hands. The field of designing is extensive and the requirements are different from task to task, therefore creating an idea and then implementing it accordingly is fundamental. The basic criteria is followed by the designers usually but when innovation and sense of intelligence is implied, a masterpiece comes into existence. Imagination also has a role to play, because it is said, intelligence takes you from the point A to the point Z, but imagination can take you anywhere. 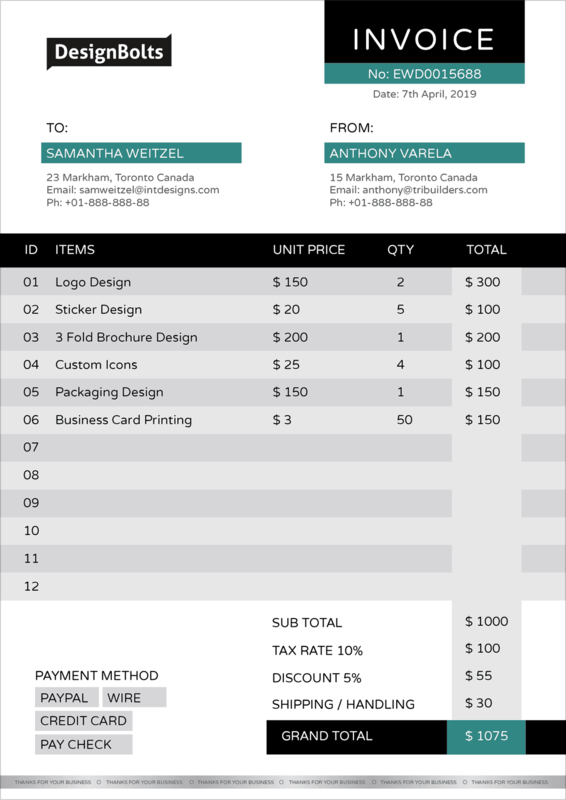 With it, you can play, add color schemes, different fonts and backgrounds to enhance the vitality & beauty of the design. 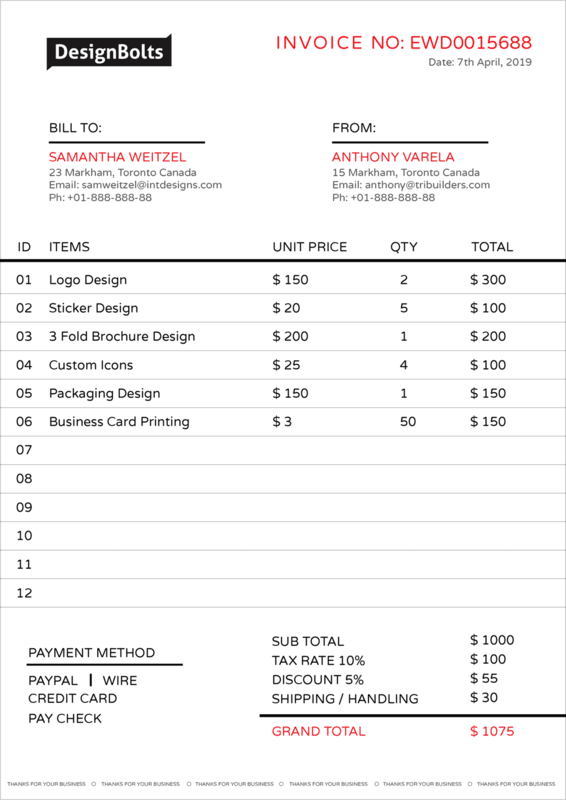 Business invoices are one of those things the designers get to make quite often. 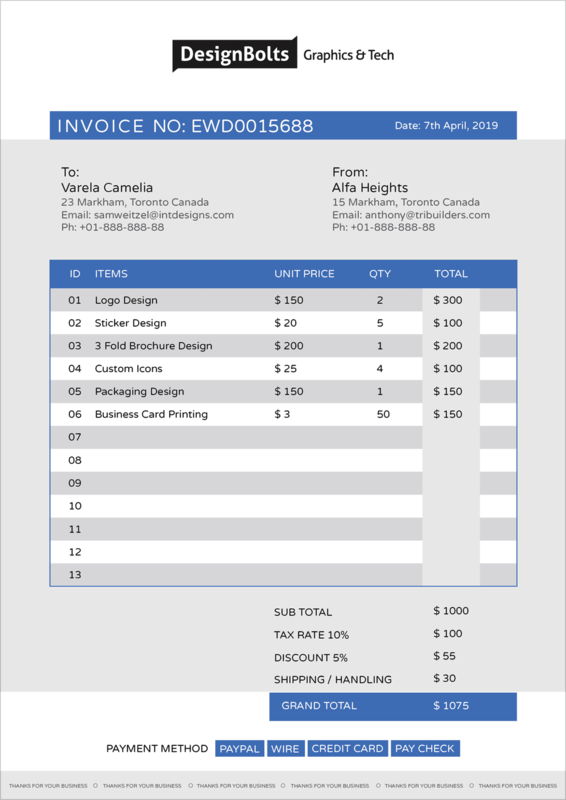 Clarity is the key and the more it is unambiguous the better invoice it is. 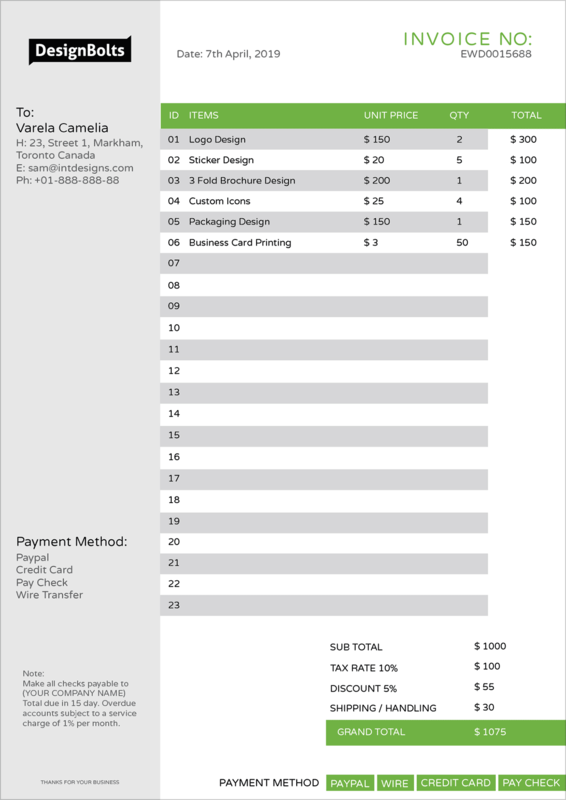 Down here you can see how business invoice design sample templates can be made differently showing all the payment which is due, payment method, address, billing/shipping etc. So the consumers do not have any confusions about ‘what is what”. 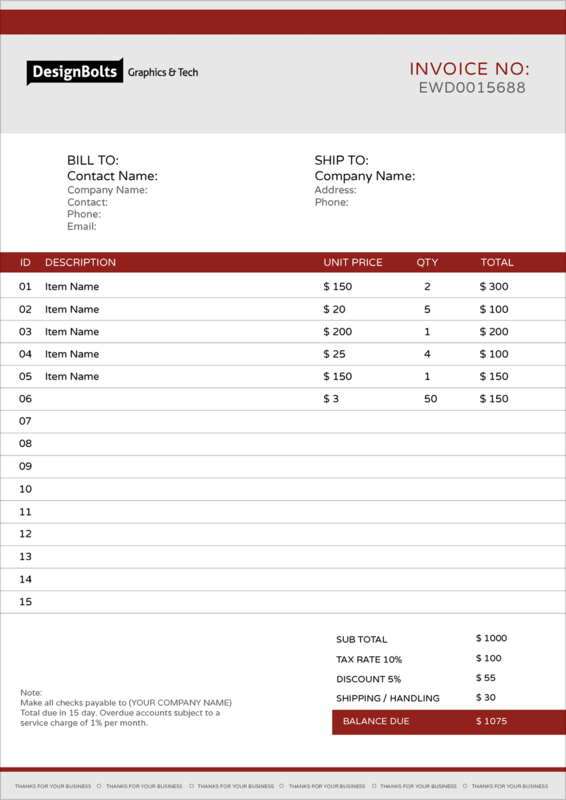 This commercial document by the seller, gives a clear detail of the products’ quantities and sale transaction(s), and it should be built in a way that the text is readable and lucidity is the priority. For more amazing collection and freebies, you must stay tuned to the blog, we cherish your presence and we try our best to put forward the informative and inspiring posts to intimate you and highlight the trendy design feed every day. Here we go.